Since 1985 this matchless force has surpassed the boundaries of any genre, never ceasing to mutate and progress their songwriting and sonic delivery, and never failing to mesmerize audiences both in the studio and onstage. 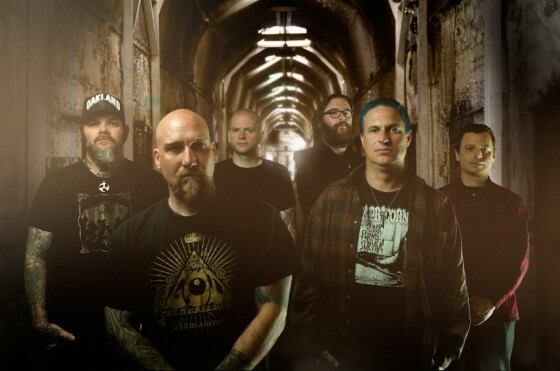 And as the anticipation from their diehard fanbase reaches a boiling point, this week NEUROSIS unveil the title of their tenth full-length studio creation, which will manifest itself as Honor Found In Decay. The follow-up to their acclaimed 2007-released Given To The Rising album, the music on Honor Found In Decay is both torturous and transcendent. It is the ongoing exposition of a vast internal dialogue that seems to carry the weight of eons. With the right kind of ears and eyes, it can seem like the trials and tribulations of mankind are being channeled through five individuals: Steve Von Till, Scott Kelly, Noah Landis, Jason Roeder and Dave Edwardson. And yet? They will be the first ones to tell you that they are just regular people trying to make sense of the world around them. Aided by Josh Graham, their resident visual guru, they transmit their interpretations through multiple sensory planes. The degree to which Neurosis allows them to step out of their everyday lives is the distance between one and zero, the distance between thinking and doing, the distance between this minute and the one that may or may not follow. Which is to say: NEUROSIS takes them outside of themselves and brings them closer to themselves. Simultaneously. This next chapter in the evolution of NEUROSIS will see worldwide release through the band’s own Neurot Recordings this Autumn, in Germany October 26th, in the UK October 29th, and in North America on October 30th. Further details on Honor Found In Decay will be made available over the coming weeks.